Two weeks ago I tried acupuncture for the first time. Acupuncture is an alternative therapy for atopic dermatitis or eczema. 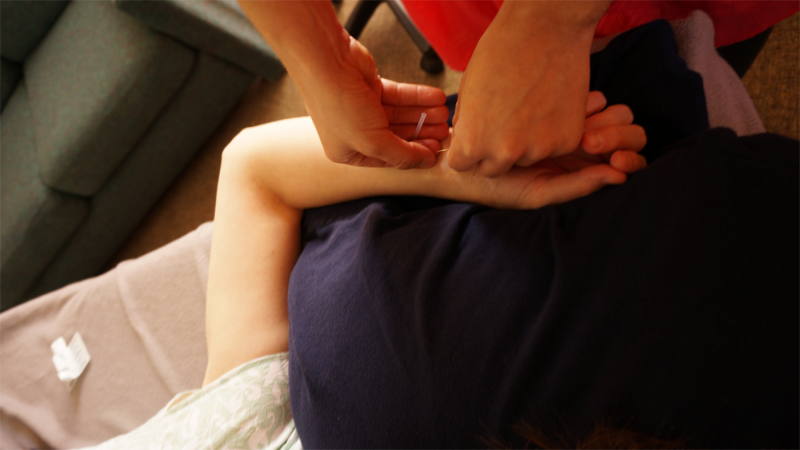 Nervous about the needles, I’d connected with Acupuncturist Adrianna Locke, LAC at a business pitch event this past May. Both our businesses were selected to present our 90 second business pitch or elevator speeches. Adrianna talking with Christy prior to beginning to poke her with nickel free acupuncture needles. Reaching out to her about whether she knew if acupuncture could be conducted nickel free; she researched for nickel free needles. After talking with her extensively about the benefits of acupuncture and my fears of having needles placed in my skin, I participated in the procedure as an experiment. I’m also willing to try new coping methods to both my reduce stress and eczema. Not many of us with nickel allergies and/or nickel food allergies have had great experiences with Western medicine or medical care. Much of the United States health care system is targeted towards sick care, not wellness care. So I figured, what do I have to lose? Why don’t I give Eastern Medicine a try? Adrianna found gold plated nickel free needles and I was her first patient using these specific needles. It was nice that part of the experience was a first for both of us. I felt safe under Adrianna’s care. She seemed well trained and competent to not only provide me these services, but she was also very receptive to my fears and feelings. First, I completed standard medical intake paperwork and signed various disclosures to participate in alternative medicine practices. Then Adrianna took me back to her private clinic room. We chatted about my health goals for the session, which involved reducing my stress and eczema for overall wellness. Next she quietly took the pulse of both my left and right hands – for a good 10-15 minutes. 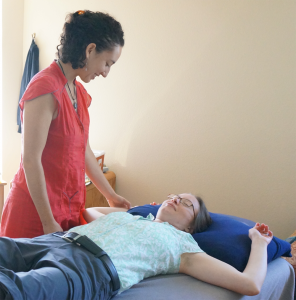 Adrianna mentioned that “in Eastern Medicine the pulse can be likened to doing a lab test in Western Medicine.” Taking my pulse is a more objective method for her to understand “the constitutional or overall body health in order to make a more precise diagnosis,” she said. 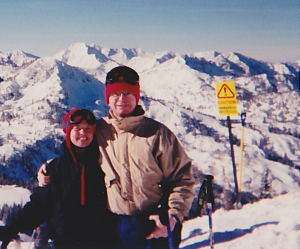 My father & I skiing on amazing Utah snow at Solitude Ski Resort. It turns out my pulse was very weak and gave Adrianna signals of my gut being inflamed or leaky. She asked if I had a family history of leaky gut, allergies or gestational intestinal distress? She already knew about my nickel food allergy, but my father actually died from a very rare type of cancer, known as Gastrointestinal stromal tumors (GIST). I don’t mean to alarm anyone, but since my diagnosis with this peculiar food allergy, I’ve wondered if my father had it previously and was never diagnosed. My father always had terrible hay fever and eczema, but figured it was caused by the dry climate and varying seasons. When he was first diagnosed with GIST cancer, not much was known about the cause of it or even effective treatments. My father participated in multiple clinical trials that extended his original prognosis, until his death in 2005 at the age of 59. Our digestive system or gastro-intestine is what processes the food we eat for energy. It also eliminates waste and toxins from our bodies. It would make sense that when Adrianna heard my pulse, it would inform her of digestive distress, as I’d eaten a steak salad for dinner the night before my acupuncture appointment. 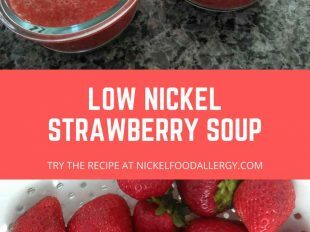 Since my immune system believes foods high in nickel are allergens it would have been sending signals in my body to eliminate the nickel toxins. Adrianna placing nickel free gold plated needles in my right arm. After taking my pulse, I laid down on her massage table. Her room was very comfortable and the ceiling looks like a sea of calming baby blue. Next she began treading the needles in my skin’s muscle, starting with my right hand, my right knee, my right foot, moving on to my left food, left knee, left hand then then forehead. The nickel free gold plated needles are quite a bit shorter than traditional stainless steel needles. They seemed like they had a larger gauge and were at first trickier for Adrianna. However, they went right into the skin and muscles fine, after I conducted some deep breathing exercises to calm myself. The sensation initially was a little strange. I felt the needle more in my right hand and left knee. She made necessary adjustments to ensure there wasn’t any continued discomfort. Adrianna left the needles in my skin and muscles for about 30 minutes while I relaxed on the table. When she removed them all, she took them out in the same order she placed them into my skin. That evening my skin did not experience any adverse reactions from the acupuncture, but I felt refreshed. If you’re in Portland, Oregon I highly recommend seeking acupuncture services from Adrianna Locke at Zocalo Wellness. She’s a compassionate acupuncturist who truly cares about her patients needs. Check out her website and feel free to contact her about nickel free acupuncture service! I am beyond relieved that she found nickel free needles. I loved her patience and care for you. I’ve been wanting to do acupuncture, now I can. Yeah eating food with high nickel gives me digestive issues as well. Thanks for sharing. Thank you! I am very relieve too. I was really nervous, but it helped a lot. I am going to try it a couple more times, as I think the experience will continue to get better! It sounds great. I’m suffering so much from itching and burning, but I live in Manhattan by the United Nations… if you know NY..i haven’t started buying a whole new kitchen. Flatware pots knives etc. I have to start throwing out my chocolate, raspberry jelly, all junk food. How do I make a salad now if lettuce is on list from Penn State list. I’m under tremendous stress and haven’t left apt for 2 months suffering from red spits on arms back chest neck. Had allergy and patch testing. Do you have any connections for acupuncture in NY? Never thought about the needles with nickel. I get injections.. fillers. I was diagnosed 7 years ago and it laid dormant. Can it go away again. My 16 yr old yorkie passed last week and lost husband week of 9/11. I’m a very highly stressed person. Thanks for your comment. I’m sorry to hear about the passing of your yorkie and husband. That on top of dealing with uncomfortable burning and itching sounds terrible. I’ve heard of some with severe eczema trying a 5-10 day dose of steroids to deal with their severe eczema symptoms. I don’t know if you have a primary care physician or dermatologist that might be more helpful to trying to reduce your symptoms. I wish my nickel allergy would go away, I don’t think that it will. I’ve had my severe nickel allergy for almost 9 years now. I’m not familiar with NYC, but you might be able to contact a couple different acupuncture clinics and see if they offer gold nickels for those with nickel allergies. 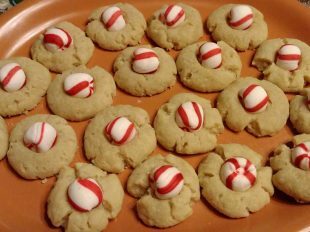 I too had to eliminate foods higher in nickel from my house, as they were too tempting to eat if they were in my house. Now, I don’t buy those foods. 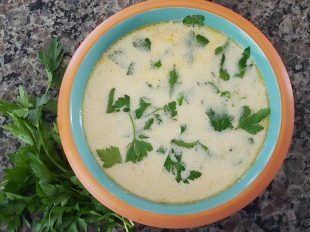 Here’s a link to my suggestions for substitutions, including a salad recipe without lettuce, it has a bunch of other vegis and uses cilantro and parsley as the leafy green base.